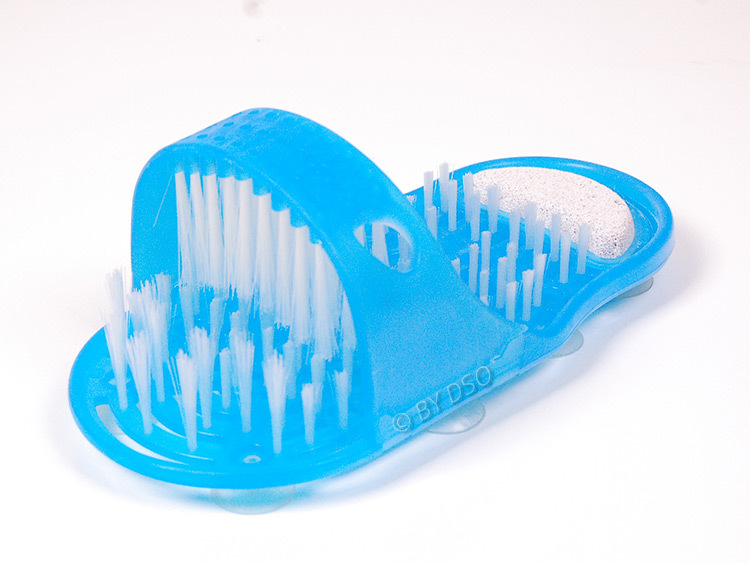 Now you can clean, massage and exfoliate your feet from heel to toe without bending or stretching. Even get a deep and thorough clean between your toes without the strenuous exertion of reaching, stretching and bending. 13 suction cups anchor the L28 x W13.5 x H9cm scrubber to bath or shower floor, allowing its 1,000 rejuvenating gentle bristles to simultaneously clean the top and bottom of your feet. What's more, it has a built-in pumice stone on the heel to smooth rough, dry and cracked heels.